Commercial Lock Repair & Installation Services! Offer Discounts! There are many things to consider when you want to maximize the security of your home. One of the things you’ll need to think about is how your home is designed. This may sound a bit strange but it makes sense to do so. There may be more opportunities for an intrusion to occur based on the way your home is designed. A locksmith can explain this to you more thoroughly as heis trained to install security features for every type of home design. If you don’t already have a security system, it is a good way to avoid an intrusion. Some people steer away from having a security system installed because they don’t think they’ll remember to set the alarm every time they leave their home. However, even if you do not remember to set the alarm it still acts as a deterrent when a burglar knows you have one. They don’t know that you haven’t set the alarm and most aren’t willing to take the chance to find out. Another, less expensive option is to place high security locks on your most used entryways. This would include the front door, back door or your interior door from the house to the garage. All of these are generally where people enter and leave their homes. 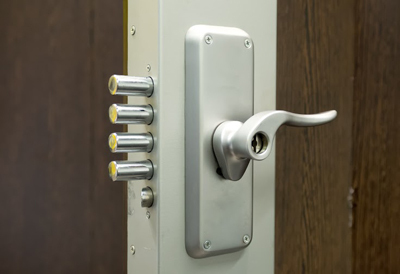 High-security locks tend to be designed to resist a break in. The tools that a burglar would use to break into your home are not as effective with high security locks. This is why they are a little more expensive than your average lock. These are just a few ways to improve your home security. The ones you select need to give you the level of comfort you need in order to be able to sleep at night. Don't compromise over quality! There are many systems out there with motion detectors and alarms, proven to deter burglars. Take advantage of today's technology, it will pay off!